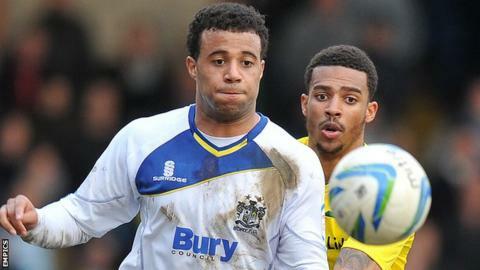 Bury are likely to be without midfielder Tom Soares for the remainder of the League One season. He has played 17 times for the Shakers since initially on non-contract terms, and scored in a draw at Brentford last month. Meanwhile, Bury expect a diagnosis on Stephane Zubar's knee injury later this week. The on-loan Bournemouth defender was hurt in the 4-1 defeat at Notts County on 22 February and has returned to the south coast to see a specialist.